Kick off the day with an energizing Opening Keynote by Cy Wakeman, then create your own customized conference experience with breakout sessions in four targeted streams - Leadership, Quality, Wellness and Tools. After lunch, Cy will lead a full afternoon workshop and Q&A. Recognized for her counter-intuitive, reality-based approach to leadership, Cy offers a new lens through which executives and employees alike can shift their attention inward, sharpen their focus on personal accountability, and ditch the drama. Join hundreds of other forward thinking leaders - current, emerging and aspiring - for a full day of inspiration, learning and networking at the QNET Conference. Check out the 5 Essentials of Networking. Challenge yourself to grow, gain practical tips and tools, and adopt a new mindset that will take you into the future with clarity and confidence. 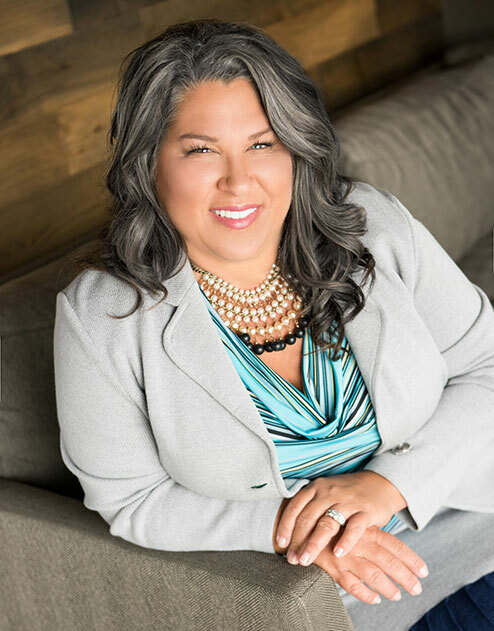 Dynamic keynote speaker, New York Times bestselling author and global thought leader, Cy Wakeman has cultivated a revolutionary approach to leadership and work, earning her a spot on the Global Guru's list of Top 30 Leadership Professionals for 2017. Cy's Reality-Based Philosophy has helped leaders and their teams all over the world ditch the drama, turn excuses into results, and find opportunities in every challenge they face. Deemed "the secret weapon to restoring sanity to the workplace," Wakeman has helped companies such as Facebook, Google, NASA, Pfizer, NBC Universal, Johns Hopkins, and Bank of America Merryl Lynch learn to navigate our rapidly changing world using good mental processes to harness energy wasted in workplace drama and reinvest that effort into achieving profound business results. A highly sought-after conference headliner, Cy holds a Certified Speaking Professional (CSP) and has been featured on the TODAY Show and The New York Times Business Insider. She's a regular contributor on Forbes.com and The Huffington Post, and in 2018 was voted a Top 100 Leadership Expert to follow on Twitter. Wakeman has published three books, including Reality-Based Leadership and her latest, No Ego: How to Cut the Cost of Drama, End Entitlement and Drive Big Results. She hosts her own podcast, a Facebook Watch show, and adds weekly video content on YouTube to address the challenges leaders face in the workplace. Cy Wakeman is the highest rated keynote speaker in the history of the QNET Conference. Since she was last in Winnipeg in 2015, there have been requests to bring Cy back to present new material and provide more intensive training in her philosophy. Cy tells you why you cannot miss the conference. You asked, you got it! Cy will present a brand new, dynamic Opening Keynote Presentation and an intensive Full Afternoon Workshop with a live Q&A where you have the opportunity to get your challenging leadership questions answered. Cy tells you about her two presentations. Grounded in reality, Wakeman's revolutionary approach to leadership is founded on a reality-based mindset and personal accountability. Inspired to help others, she now presents public keynotes and workshops, and visits more than 200 companies each year, helping leaders around the world transform their organizations. Join us for an outstanding lineup of morning breakout sessions in four streams: Leadership & Management, Quality & Effectiveness, Workplace Wellness, and Tools & Techniques. Breakout Sessions PDF here. When done well, accountability can lead to positive growth and development, better results and a culture of great performance. As leaders, we need to "lead self" in order to successfully lead others. This accountability for our own work, behaviour and results leads the way for our teams. At this fireside chat session, you will hear and discuss different aspects of accountability and "leading self," explore the concept of kind curiosity, and leave with ideas that you can take back to your workplace to create or enhance your own accountability framework. Join us to find out how Sunova Credit Union expanded, evolved, and found ways to distinguish themselves from the competition - and meet some of their most recognizable (and furriest!) 'distinguishing factors'. After successfully looking outside of the box, the team at Sunova recently shifted their focus to 'inside the box' and the core of the company - their people and their relationships with members and clients, potential new customers, and each other. Learn how they created a culture code, foster accountability, removed barriers and provide staff with independent control of their outcomes and work. If you are looking to shake things up and distinguish yourself from the pack, you won't want to miss this session! Strategize the tough stuff at this interactive and energizing breakout session led by our team of expert facilitators. You will have the opportunity to participate in four solutions-focused table discussions on timely workplace topics. Maureen Grace, Hamilton Grace & Associates - Mobbing... here? ... me? Joyce Odidison, Interpersonal Wellness Services Inc. - What's Your Personal Reputation Worth? Research shows that drawing and visual tools can help improve your memory and retention. The practice of mind mapping has been used for decades to organize information in a visual way. Join us for a fun and engaging session where you will have the chance to learn and practice various mind-mapping techniques as a unique way of learning, reviewing and retaining content. Share ideas and experiences with other participants, then apply your new skills in a practical and timely way by mind mapping Cy Wakeman's morning keynote presentation. Are you ready to engage in a positive and productive discussion about today's multigenerational workforce that is based on curiosity, understanding and respect? Discover the secret sauce to transmuting the generations in the workplace - creating a culture of high engagement and powerful connections. Hear how leadership from two different generations are joining forces and using reverse mentoring to develop an organization where all generations collaborate and build a new future. You can't make change happen with a mandate, you need to start a movement. After a year of working with Wendy Ferris of inVision Edge to drive innovation and strategy within the organization, Palliser Furniture engaged Wendy as their Executive Vice President of Culture and Innovation to drive a new way of thinking and approaching work deeper and wider throughout the organization. Learn why Palliser went all in on culture change, and how they are building a spirit of innovation, intrapreneurship and agility throughout their organization. Wendy Ferris, Executive Vice President of Culture and Innovation, Palliser Furniture Upholstery Ltd.
Do you wake up every morning energized and excited to go to work? If not, maybe it's time to get over yourself. This thought and heart provoking presentation is a must for all employees and leaders. Both practical and inspiring, you'll have the opportunity to reflect on moments in your career when you felt most engaged, excited and passionate about your work; when you felt your best and did your best. Discover simple strategies to re-create and sustain your excitement about work, every day, always, in all ways. Take this opportunity to get over yourself, or maybe get into yourself, to rediscover and re-ignite your passion for the work you do. You've seen the ad for a QNET workshop. You're curious. But what will the session be like? Here's your opportunity to "sample" what some of QNET's engaging, expert facilitators have to offer throughout the year. This high energy session offers a series of quick, interactive learning experiences on a variety of timely topics. Select up to three mini-workshops and learn a tool, concept or technique to bring back to your workplace. GROUP DISCOUNT (until April 30, 2019) - when 5 or more participants from the same organization register together. To register your group, click here. CONFERENCE PARTNER DISCOUNT (until April 30, 2019) - Members of Conference Partners receive a discount. Register online here and select "Partner Organization" under Membership Type. Planning to attend the conference? Get conference passes AND showcase your organization with Conference Sponsorship. Demonstrate your commitment to leadership, learning and excellence in Manitoba. Connect with a cross-sectoral audience of more than 300 current, emerging and aspiring leaders. Network with participants and reinforce your brand with prominent recognition. Concentrate your valuable sponsorship dollars on the largest conference of its kind in Manitoba. QNET brings together a network of members and clients focused on leadership and organizational excellence. Our wide range of presentations, workshops, certificate programs, conference and special guest speaker events are designed to advance your learning, growth and professional development. Check out QNET's Calendar of Upcoming Events for more information. QNET was established as a non-profit association in 1995 to lead an ongoing process of awareness, networking and education in a changing business environment. Participants in QNET programs and events represent various sectors of the economy, including manufacturing, service, health, government, education, non-profit and consulting.